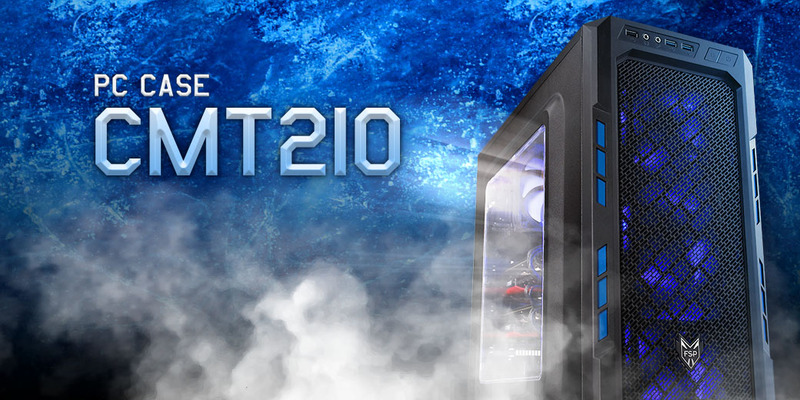 FSP's new CMT210 mid-tower case features a metal mesh front panel and a high compatibility to support a standard ATX motherboard and CPU cooler installation. 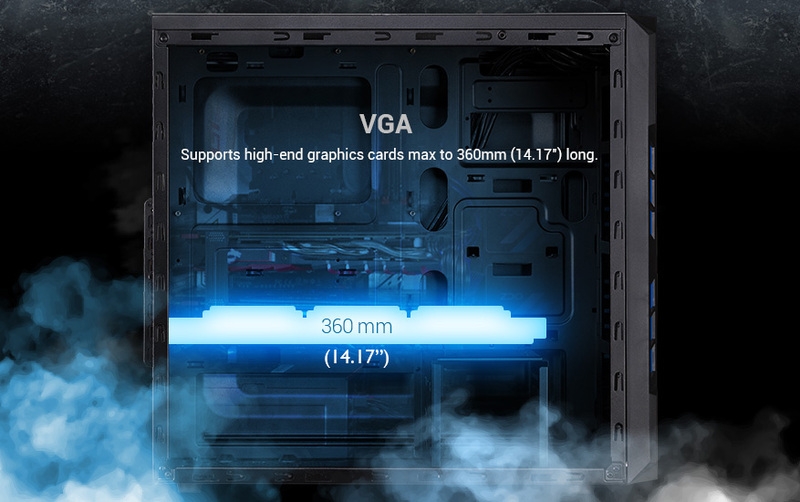 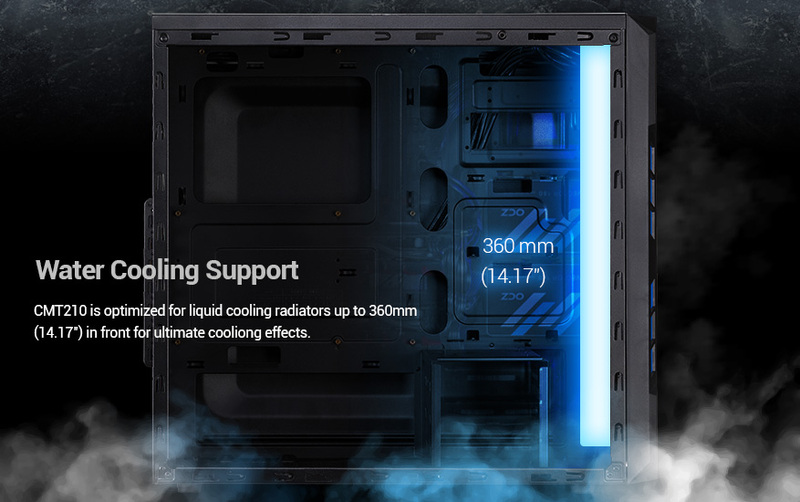 The case is ideal for gamers who build their computers with expansion in mind, you can install up to 4 fans (2 blue LED 120mm fans are pre-installed) to increase the system air-flow for optimal cooling. 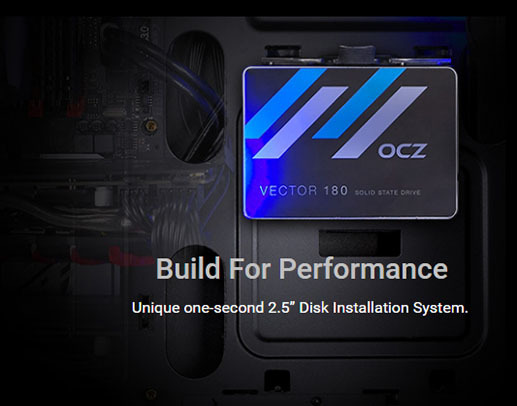 *color selection vary by regions. 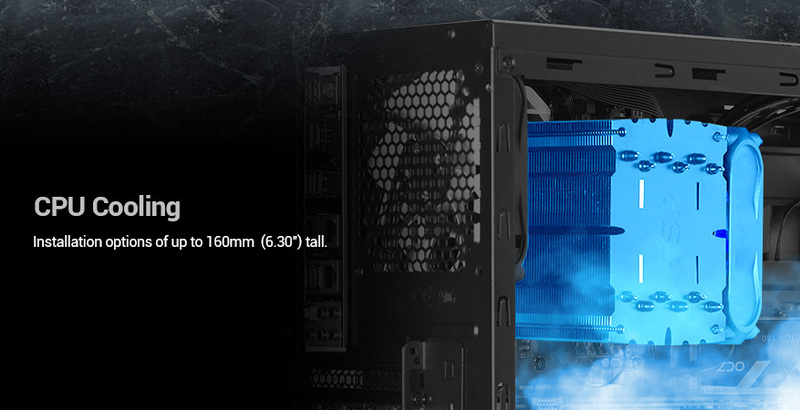 Supports up to four 120mm fans. 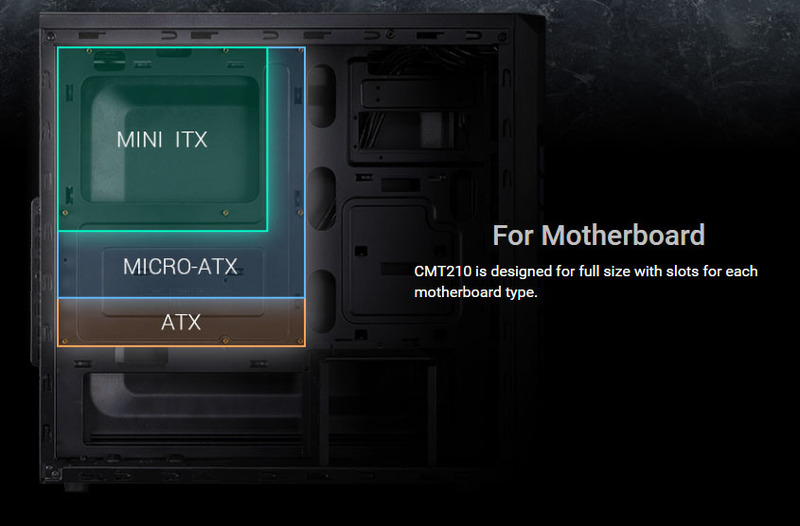 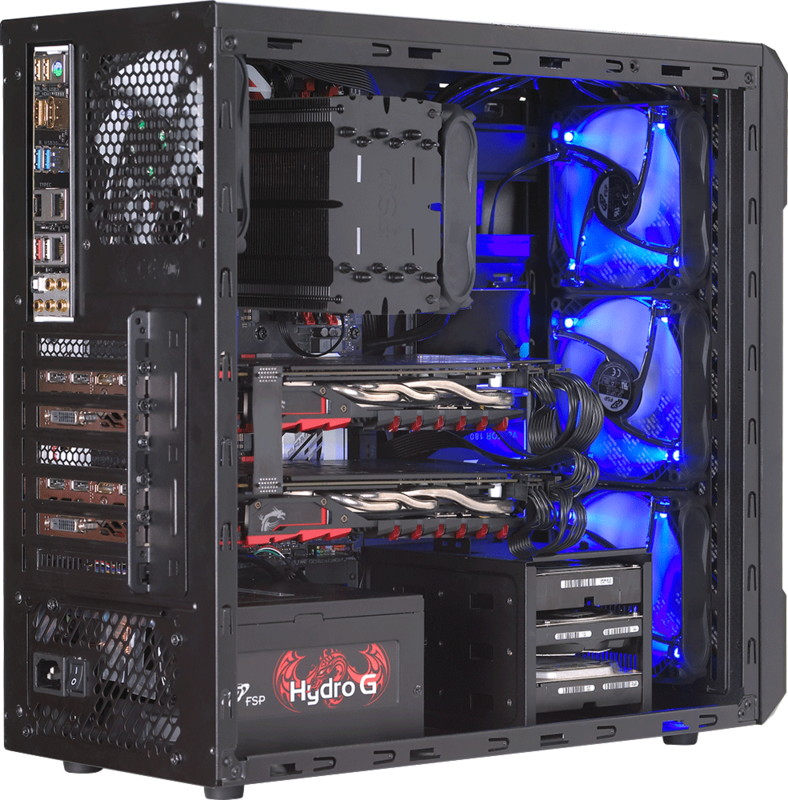 Two 120mm LED fans are pre-installed in the front and rear for optimal cooling. 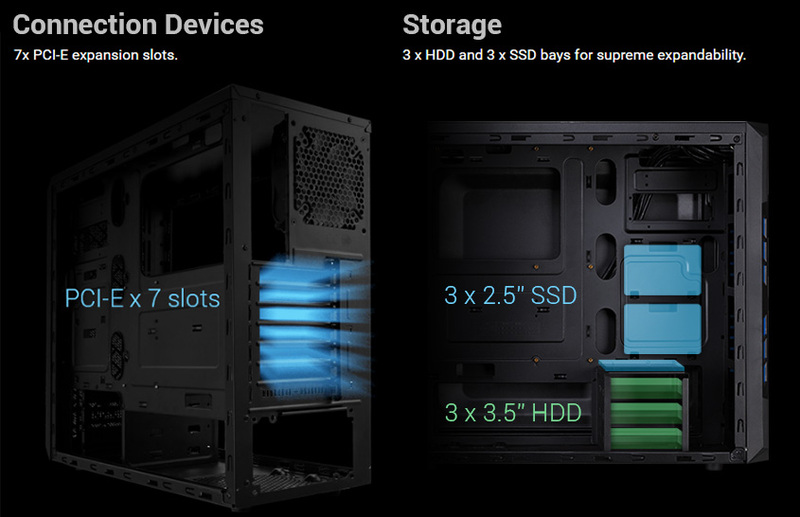 4 x fan mounting locations (2 x 120mm LED fan included and pre-installed) for optimal cooling.